In an earlier post I mentioned Chen Xiaoxing's statement on how to train and reach a high level - "You know the law...now follow the law"! Likewise, 16th Generation Chen Taijiquan theorist Chen Xin stated that all you have to do is to "follow the rules". That's all very well if you are clear on what the rules actually are! The average Western student is faced with many difficulties in clearly understanding what is really required. Problems of language and culture, false assumptions and interpretation can lead even the dedicated student far off the correct path. A well known Taijiquan saying advises that, "If you don't diligently search for the meaning, you will only waste your effort and sigh (from disapointment). Where should you look then, if you want to avoid wasting your effort? 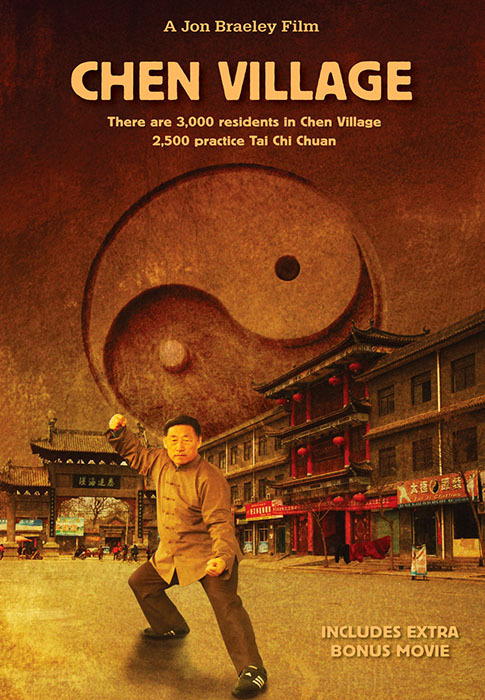 A good place to start might be Chen Xiaowang's "The Five Levels of Taijiquan", to be released on February 15th. I've just finished reading a review copy and found it clear and helpful. Many people are familiar with Chen Xiaowang's interpretation of the different stages the Taiji student must go through to reach mastery. This book includes an extensive commentary on the Five Levels by Jan Silberstorff. The book has been laid out so that every chapter begins with the original Chinese text and its direct translation. The detailed explanations in the commentary follow. As it states in the introduction, the five levels help us to know where we are now and what will follow. Secondly, they help in the understanding that learning too fast or skipping something may not be a shortcut - in fact the opposite is more likely to be true. With the knowledge of the systematic ladder that must be climbed,students of Taijiquan should have confidence that "...one vehicle is enough: one system with corresponding basic exercises, refinements and advanced levels on which to build". One for your Taijiquan library!! PS We've begun the process of uploading our archive of articles as pdfs onto the school website (below). This will be added to over the coming months, so check back regularly!! 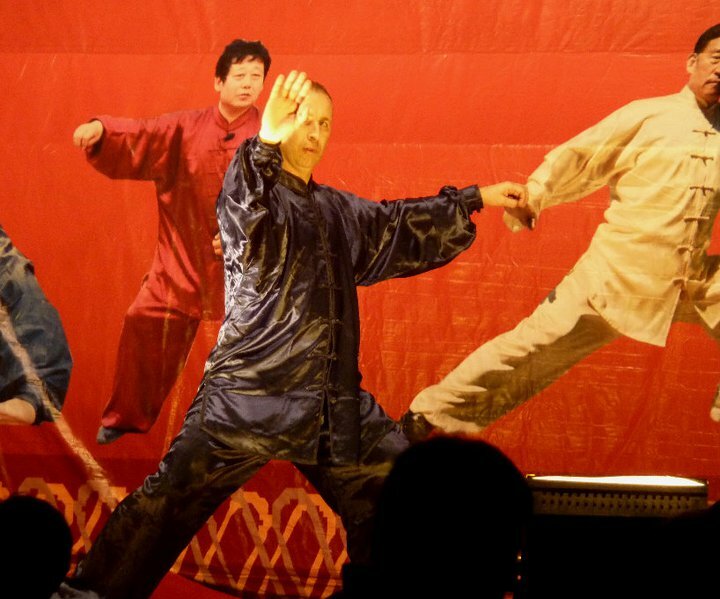 What does it take to be a master of Taijiquan (or anything else for that matter!)? The ex-Soviet Union, in their Process of Achieving Sports Mastery, reserved the title of "master" for individuals (regardless of what disciple they were pursuing) who had either achieved a world record or won a world level championship. 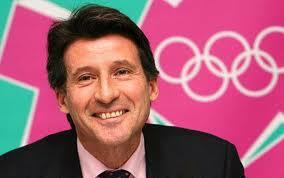 That is, individuals who had achieved an extraordinarily high level of performance. Compare this to the endless list of Taiji “masters” in any major city listing. 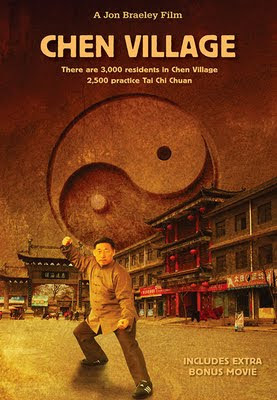 Perhaps it is easy to master Taijiquan? Hardly!! · "...mastery is not about perfection. It's about a process, a journey. The master is one who stays on the path day after day, year after year. The master is the one who is willing to try and fail, and try again, for as long as he or she lives"
·"Almost without exception, those we know as masters are dedicated to the fundamentals of their calling. They are zealots of their practice, connoisseurs of the small incremental step...". Leonard characterised the practice of these masters as "involving a certain steadfastness, an ability to take pleasure in the endless repetition of ordinary acts". The real road to mastery in Taijiquan (and anything else) is the path of patient, dedicated effort without attachment to immediate results. Great success in any physical endeavor, including Taijiquan is built upon consistency and patience. We must be prepared to pay the price both in time and energy. In the words of Chen Fake, one of Chen Taijiquan’s most celebrated practitioners, “beginners should practice slowly, so that the movements are correct. Practice makes perfect, so after a LONG TIME movements can naturally be fast and steady”. I've just returned from Chenjiagou with a group of students from our school, who spent a couple of weeks training with Chen Xiaoxing. Anyone who has trained with him will be aware of his penchant for simple, repetitive and excrutiating emphasis upon basic training. There is no truck paid to entertaining students. He offers what works and then it is up to you whether you stick to it. In a previous blog I mentioned his statement - "you know the law, now follow the law"! Simple, but not easy. Our group trained for 5 hours a day, divided into 2 2.5 hour sessions. Every session was the same. First standing for half an hour in the challenging position he put everyone into. Then 30-40 minutes unbroken training on a single reeling silk exercise. For the rest of the session training a short section of the form. 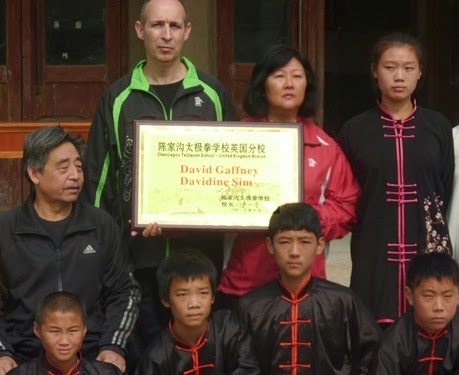 I was in Chenjiagou earlier in the year training alongside a small group of Chinese students of Chen Xiaoxing, the programme was the same. One of them was still in the school during our latest visit. He said he had been there for 4 years following this same routine everyday. 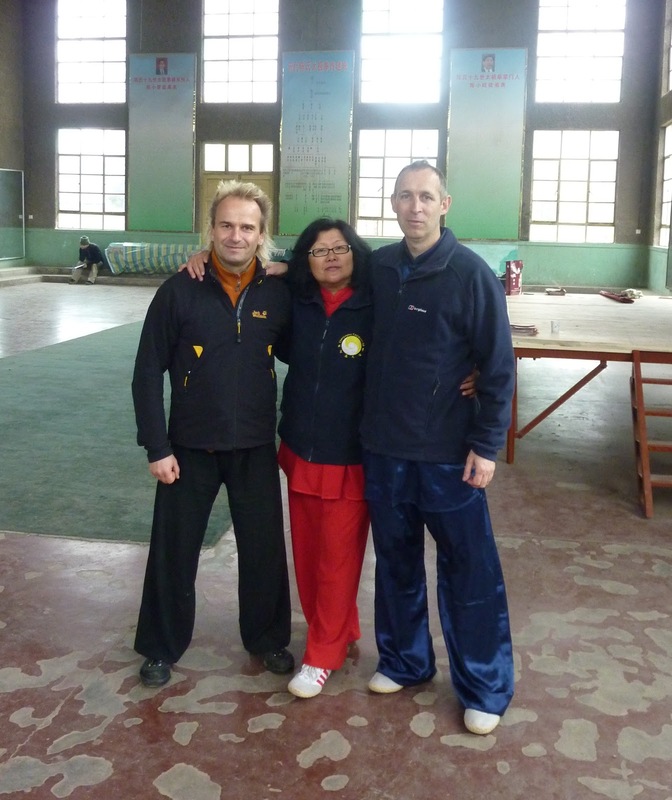 We have been travelling to train Chen Xiaoxing since 2003 and leave the programme to him to decide. A common mistake is to go to the teacher and then say I want to do this, this and this. Who would go to their maths teacher and say I'd like to do some algebra for 3 days and then some calculus for 2 days? I've got a week - I'd like to do sword, spear and the erlu!!! On the flight back to the UK I read a book - Chinese Kungfu: Masters, Schools and Combat by Wang Guangxi who died in 2008 shortly before the book was published. 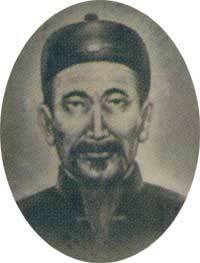 Wang was an academic and lifelong Chinese martial arts enthusiast. 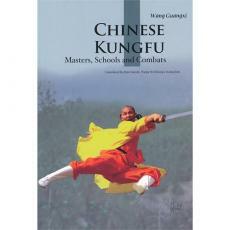 Throughout the book his love for Chinese martial arts, in their many diverse forms, was obvious. At the end he included some advice or "notes on wushu exercises" regardless of style. 2. Never tire of it. The more often you clean the net, the more fish you will get. 3. Concentrate on the martial arts of one school. Do not always look to the grass on the other side of the hill. 4. Be good at the basic techniques, especially footwork and waist techniques. 5. Great importance should be given to position training, but avoid excessive training at the beginning. 7. Do not seek highly difficult or impossible moves right away. 8. Concentrate, focus and pay close attention to learning every detal during practice. 10. Stay modest at all times and do not despise anyone at any time. 11. Do not practice martial arts when exhausted and do not practice internal martial arts when the mood cannot remain calm from great sorrow, rage or joy. 12. Assure enough sleep, increase nutrition and use hot water to wash your feet!!! I finally got to see Jon Braeley's interesting film about the Chen Village. I was struck by two comments on the differences between Chinese and Western students - one I would completely agree with and one I strongly disagree with. First, Chen Xiaowang, who has spent many years teaching in the West, said that Western students pay more attention to technical details within the forms - the exact hand position, how far to turn the body etc. Chinese students, he went on, pay more attention to feeling and sensation. In a recent facebook debate about style differences one guy summed up what many Westerners believe when he declared that "Qi is crap"! So have all those generations of Chen Village practitioners since Chen Wangting's day been deluding themselves? Bodyguards like Chen Changxing and fighters like Chen Fake. I don't think so! Chen Zhaopi, teacher of Chen Xiaowang, Chen Xiaoxing, Wang Xian, Zhu Tiancai, Chen Zhenglei et al listed ten different classifications of Qi - but then what would he know? The second comment, which I would take issue with, was made by Chen Bing - after opening his new school in Chenjiagou he quickly concluded that Western students are not able to and do not want to, train hard like their Chinese counterparts - "in the West people train for health ...or for fashion"! - so as a result, he said, he trains Western students differently then Chinese students. Where has this misconception come from? Look at all the other Asian martial arts practiced in the West - Thai boxing, Judo, Ju Jitsu, Taekwondo etc ... or the modern Western combat sports like boxing and wrestling ... these Western students seem capable of training hard! Every discipline has its own rules that have to be mastered if you are going to progress to a higher level. In music you have to learn the scales, etc ... Why do so many people find this so hard to understand? You give a simple instruction - "lift your head up" and the response is "but what about my feet"? ..."in my Japanese martial arts class we do it like this and the teacher says its ok"... "but I feel more comfortable when I do it my way"... and on and on and on! 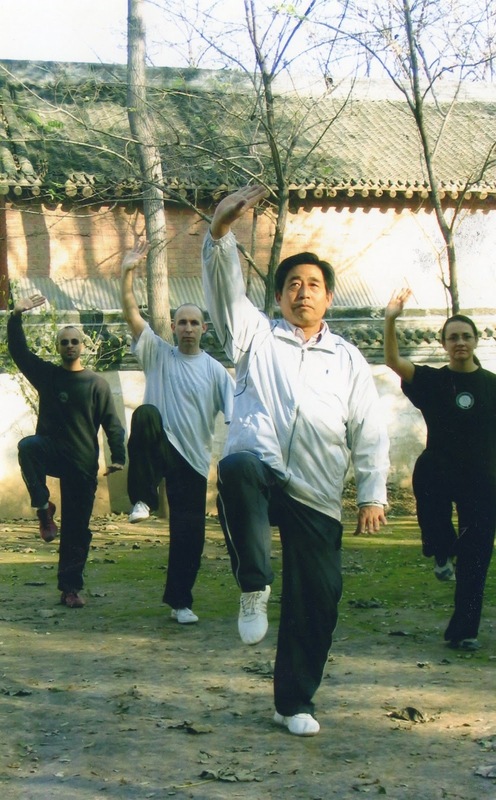 Chen Taijiquan has a clear and progresive syllabus that has been passed down and developed for more than 300 years. Everything in it is there for a reason. 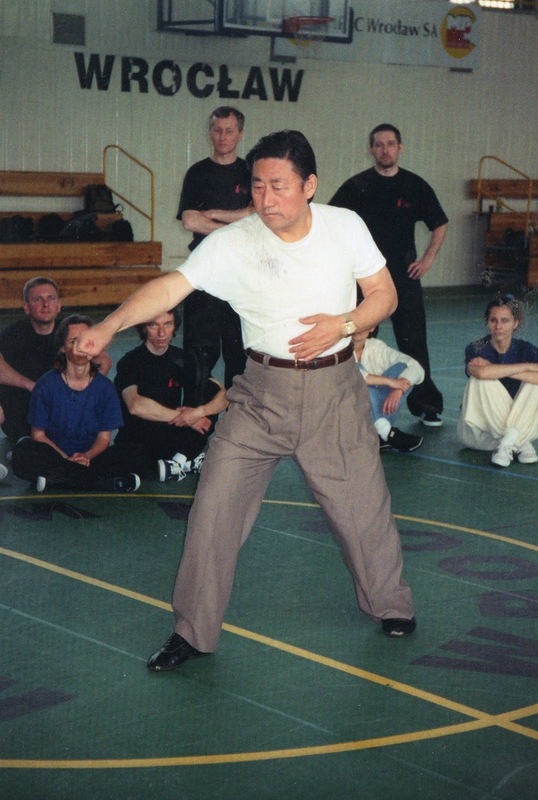 In his notes from the 1986 Taijiquan Theory convention in Chengdu, China Chen Xiaowang advised: "Don't discard any aspect of it before you have full understanding!" He went on to say that "Chen Taijiquan's theory is the accumulation of many years and many generations of study and experimentation. What has been passed down is their "sweat and blood" in order for continuity in future generations. 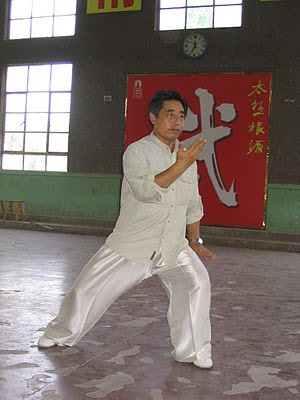 Sixteenth generation Chen Xin spent over a decade of hard work and toil to record the theory solely because he wanted Taijiquan to be transmitted to those who possess virtue and martial committment. Each generation of Chen family has produced excellent martial artists,this bears witness to the efficacy of this theory". So all you have to do is to have confidence in your system (otherwise why are you doing it in the first place?) and follow the rules! I've just finished reading a post in the newsletter of Kim Ivy's Embrace the Moon Taiji school which really struck a chord with me. She wrote of training "Village Style" with Chen Xiaoxing during his visit to her school. Village style she explained as being given one or two movements and then practicing them for an extended time. My own group have been going to Chenjiagou to train with him for nearly a decade now and this is the how he teaches. A few movements, and then you train and train and train with corrections from him. First time we took a group it was in the winter of 2003 where we spent 19 days on the Laojia Yilu routine. A few years ago Stephan Berwick wrote a really nice article about Chen Xiaoxing and his training method entitled The Simple Wisdom of a Village Grandmaster. The following is a quote from the article: "Chenjiagou training is highly focused on the basics of boxing practice. At a recent U.S. east coast seminar, he pushed the students through 2 hours of practice on just 3 seemingly simple silk reeling exercises, which the students found excruciating, but deeply satisfying. Speaking no English, he did not have to rely on words to get his point across. The next day, the seminar participants completely understood the lessons in body structure and rootedness he imparted". During Chen Xiaoxing's visit to our school last year - his first visit to Europe - he taught a group a weekend worshop on the Laojia Yilu. The group was an experienced one everybody knowing the form, many being teachers. So, he said that there was no point just running through the sequence and taught in his usual way. Everyone training, with him working through the group giving personal corrections. Most people loved it, but I was really surprised to get negative feedback from several people who thought he should be standing at the front leading the group. Is it a coincidence that one of those dissatisfied spent most of the time sitting at the side while everyone else was training? As Kim put it in her newsletter: "I find my teachers respect their students when they feel they have the enthusiasm and tenacity for "the Village." Indeed, instructional generosity appears to be commensurate with how few moves one asks to be corrected and how deep one can plumb with only small & precise corrections in tow". Its Official - Now Taijiquan doesn't even qualify as light exercise! A study into the role of exercise for heart failure patients conducted by the Beth Israel Deaconess Medical Centre and Harvard Medical School concluded of Taijiquan that: "While it has little physical benefit, patients who do it are more likely to try light exercise". So there you have it, according to these illustrious institutions and reported in a British national newspaper, Taijiquan is now considered to be nothing more than confidence building for those too unwell to do even the lightest exercise. An easy option... Not even really exercise at all! Funny that. I've just got back from a week of training in Warsaw with Chen Ziqiang and it sure felt like exercise to me. Applications and push hands contest training with those big-boned Polish guys, as well as dynamic form and sword training - in the words of one of the young students -"every bit of me feels stretched and worked". 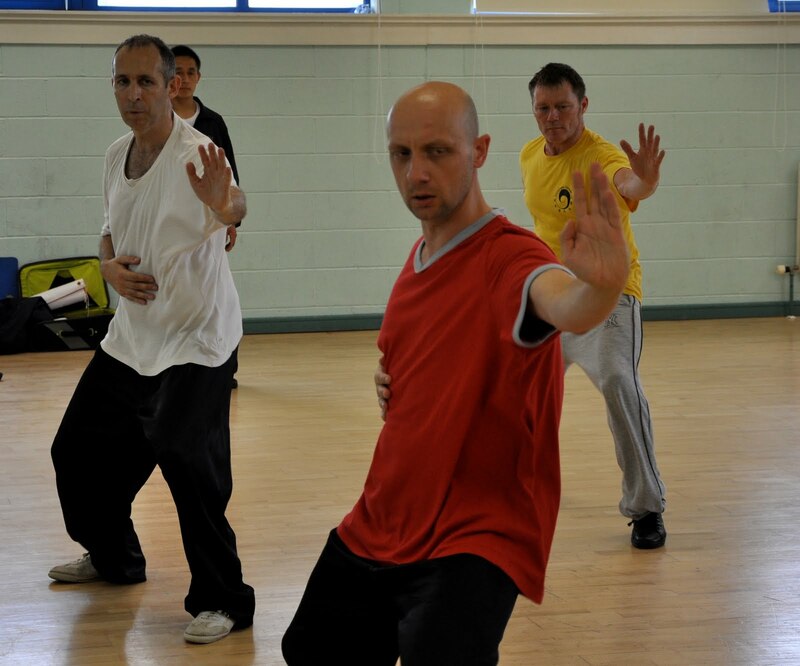 How can Taijiquan reassert itself as a serious martial art against the misperceptions that surround it. Even in China this is now a cause of concern. Last month in Chenjiagou I listened to a couple of seasoned Chen Taijiquan players debating how to get young people to take up the art with its negative image as being suitable only for weak or elderly people. They asked the question, should Taijiquan training be modified to make it more exciting and the training fast tracked to compete with the more obviously exciting external arts, in the process losing the essence of the system? Or should they continue teaching in the traditional way and see less and less young and fit people taking up the art. Seems like exercise to me! When you drink the water, remember the person who dug the well! My Shaolin gongfu teacher in the early 1990s always emphasised the importance of having a sense of history - of understanding your place as a link in a chain joining past and future generations. The first time I visited Chenjiagou was in 1997, we were shown around all the significant sites: the graves of Chen Fake, Chen Zhaopi, Chen Zhaokui etc... caught up in the reverance offered to these past luminaries, but with no idea of their real significance; walking through the ditch after which the village was named and seeing just a ditch. After many visits to Chenjiagou in the years since, the stories of the exploits of the people from this unique place have become comfortably familiar. 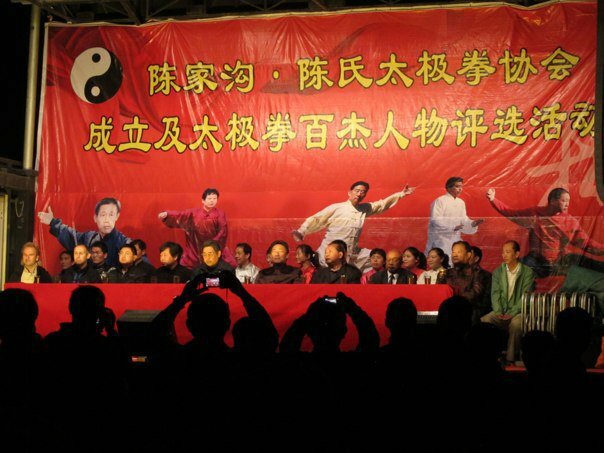 Two weeks ago I was on a stage set up in the main street of Chenjiagou performing Taijiquan in front of what seemed like the whole village (in the picture above before the demo: Jan Silberstorff, David Gaffney, dignitary, Chen Yu, Chen Xiaoxing, Chen Xiaowang, Xingyiquan Master Shi Zhaowen, and 2 other officials). Now a part of the community that once seemed so alien. Demonstrating at the birthplace of Taijiquan! “It is very rare to find someone who has achieved excellence in all four aspects of gongfu, technique, constitution and strength. In my family, for example, since Taijiquan was created it is said that only Chen Wangting, Chen Changxin and Chen Fake have achieved this. The rest of us are striving to be as close as we can to this perfection”. Everywhere we are continually bombarded with messages - twitter, facebook, texts… all of which of course have to be attended to immediately. In a recent post internet guru Seth Godin highlighted Allison Miller, aged 14 who sends or receives an astonishing 27,000 text messages a month. Broken down that’s about about sixty an hour, every hour she's awake. In Godin’s own words: “Some say that the problem of our age is that continuous partial attention, this never ending non-stop distraction, addles the brain and prevents us from being productive. Not quite. The danger is not distraction; the danger is the ability to hide”. Chen Xiaoxing: "Train everyday - if you really want it!" What has this got to do with Taiji? People today often comfort themselves that the busy pace of life today makes it impossible to train like the teachers trained when they were young in China. Of course they would like to train more but life is just so busy… Someone put this to Chen Xiaoxing when we were training in Chenjiagou and he was clearly irritated at the suggestion that things were easier in his time, dismissing the idea out of hand. He spoke of the back-breaking work they had to do when all farm work had to be done by hand and laughed that even when machinery became available, they were to poor to afford it. Then came the Cultural Revolution where he toiled in a brick factory. But they still found time to train. As he put it, most people today work about 8 hours a day. Beyond that the individual has the choice to do what they want with the time. Chen Zhaopi, teacher of the “Four Buddha’s Warriors” of Chenjiagou put it very simply saying that: “Besides having the direction of a good teacher, the main criterion is whether the person himself is willing to put in the hard work”. Developing skill in the traditional way takes time, patience and perseverance. So turn off your laptop, switch off your mobile phone, log out from your facebook account, stop stalling and get on with the real work!